If you stick the word Beatles before an item that can be sold you can be damn sure Apple will have at least considered having it available to buy. 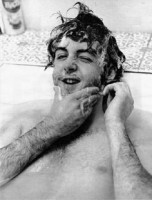 I'm more surprised I cannot buy a Beatles tin opener. Will a bottle opener suffice @meanmistermustard ? 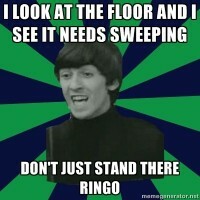 You could probably have about 80% of your house decorations be Beatles stuff. Beatle mugs, cups, cutlery, towels, wallpaper, duvets, sheets, lamps, bags, oven mitts, hair brushes, board games, guitars, pianos, egg-timers, toilet seats, rugs, the list goes on and on. There's a decent chance that you just described my future home. I'll skip the egg timer and the toilet seat, though. 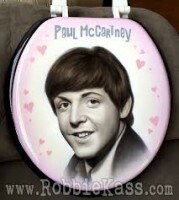 (A Beatles toilet seat? Who thought that was a good idea? I looked them up and they exist and I ascared. Though they seem to just be lids and not the part you actually sit on (thank Krishna). And here's the wall decor to go in that bathroom. : Hey, the plumber 's round our house fixing the water supply at the minute. Mind if we join you? That first caption sounds like missing lyrics from Being For The Benefit of Mr. Kite! 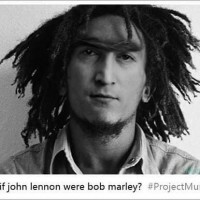 This is more scary than LOL, but, anyway here it is. That is highly disturbing, I appreciate the use of a spoiler but unfortunately I'm an idiot with very little self restraint when it comes to spoilers so now that image is burned into my mind forever. Maybe your suffering will keep others from clicking on that spoiler. You took one for the team, @50yearslate . Nope, @Ahhh Girl! 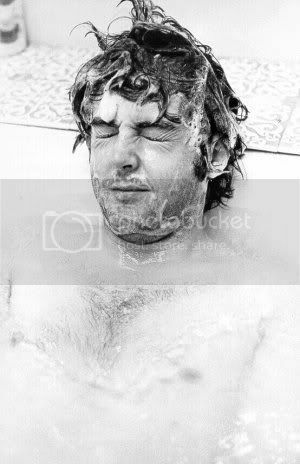 You know full well few Forumpudlians have self restraint when tempted with something Beatley. Even with warnings. No it's not nearly that bad, but still, y'know, not something that is pleasurable to see with your eyes.